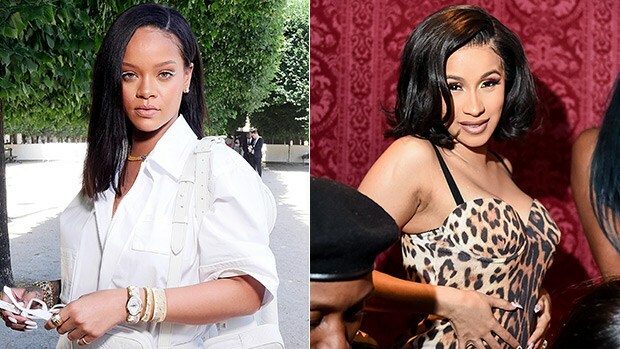 Well, it seems even Badgal RiRi has joined in the ongoing war between Cardi B and Nicki Minaj, and to add to it, she's taking sides with Nicki Minaj. RiRi has unfollowed Cardi on IG, unfollowing somebody on IG is usually considered as 'good relationship gone bad'. Or why else would she pick this time to unfollow Cardi? Cardi and Nicki have been beefing hard ever since they got physical at the Harper’s Bazaar ICONS bash a week ago. Toni Braxton has also been attacked by fans after she liked a post where Cardi was called a bad mother for fighting. As it stands, Nicki Minaj is earning more support from co-stars!